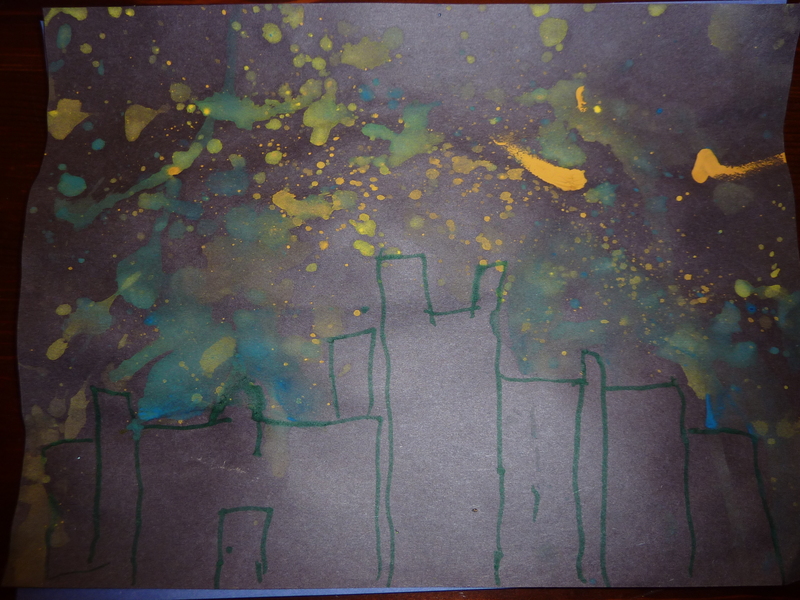 Inspiration for this art work. 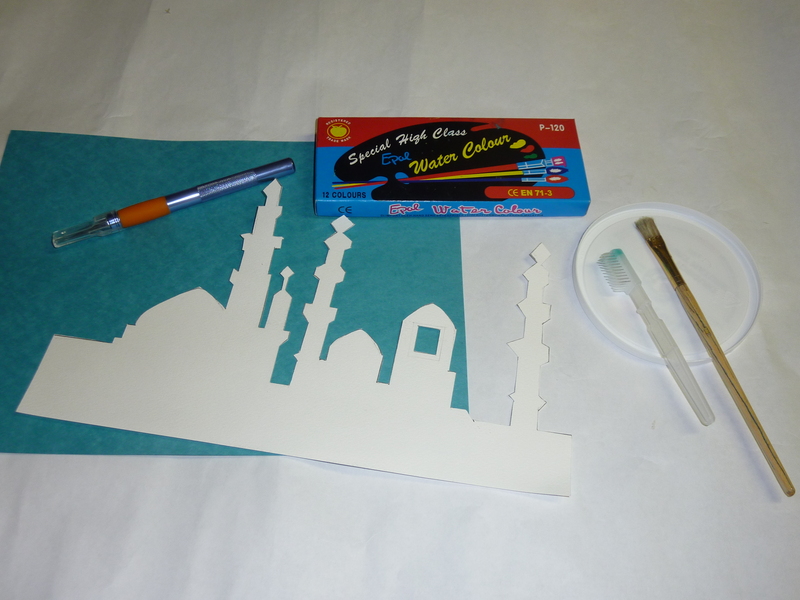 A mosque skyline silhoutte (best cut out using a craft knife), poster paint, paint brush, an old toothbrush. (Will update with the template soon Insya-Allah). Lay template on a coloured paper. 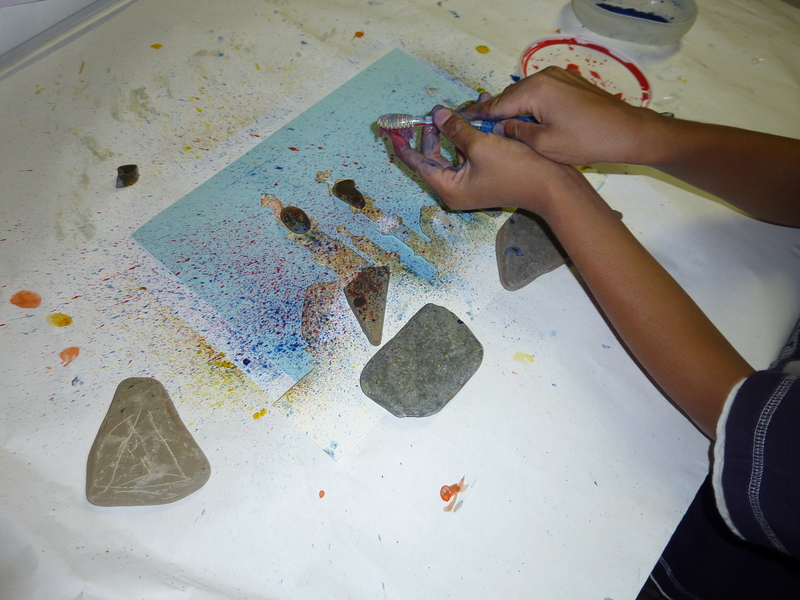 We used little rocks to hod down the template. Mix poster colour. Dip toothbrush into paint. Tap it to get access paint off. Using your index finger, pull bristles towards you. Splatter more around the edges of the template so that the image will be clearly outlined. Once paint is dry. You can fill up the picture will as many details as you want Insya-Allah. Alhamdulillah these two were our finished work. 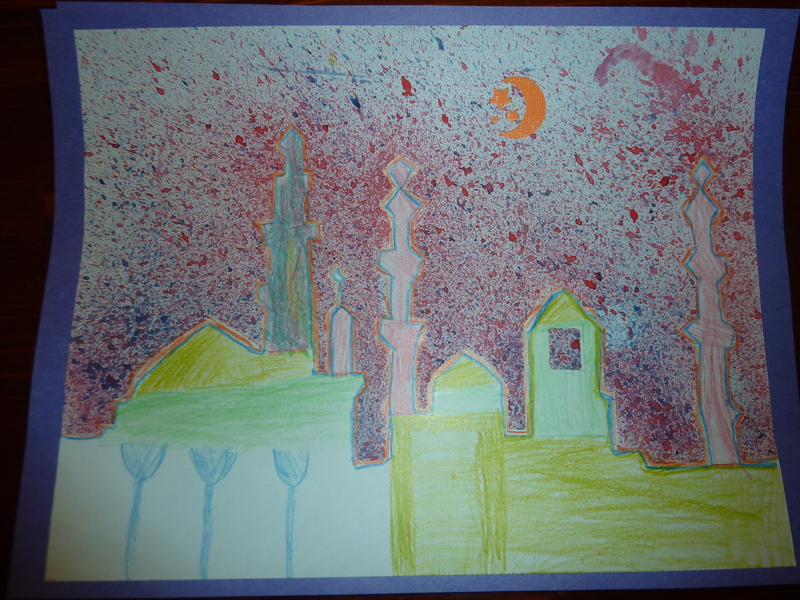 And the mosque template itself looked gorgeous with all the splatter on it. 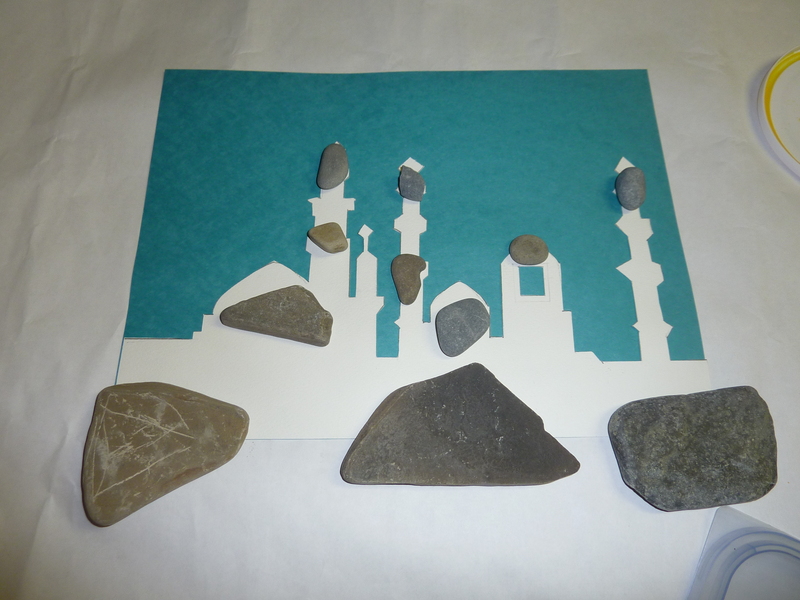 Insya-Allah we are planning to mount it onto a black piece of paper and add moon and star details to it. Masya Allah! I am loving this!!!! 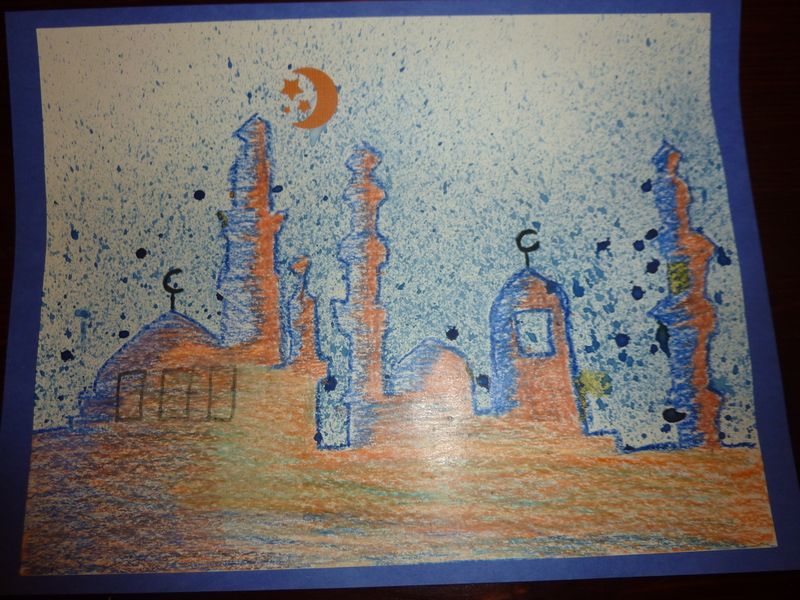 I am very happy to find these art activities.I’m always looking for ideas for Eid and Ramadan. Please continue with these activites. Jazakillah Sister Salimah. Insya-Allah I’ve got some ideas fro this Ramadhan as well. Will be glad to share them.